Delhi had last seen heavy rainfall on July 13. Areas like Tilak Bridge, Modi Mill Flyover, Dhaula Kuan were completely under water. The met office has predicted more rain for the city. 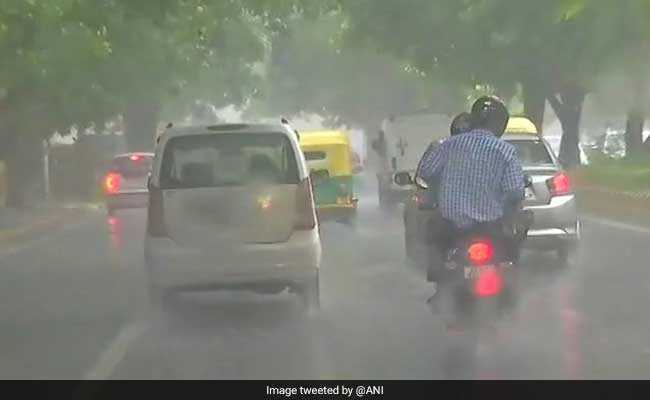 Heavy rains lashed parts of Delhi today, affecting traffic at various intersections and leading to waterlogging on several roads. It was a humid morning in the city and the minimum temperature settled at 25 degrees Celsius, ,two notches below normal. The met office has predicted that rainfall would continue and temperature would reduce further. "Heavy rainfall is expected in various areas in the city during the day. The maximum temperature will settle around 35 degrees Celsius," a met official said. Delhi had last seen heavy rainfall on July 13. Areas like Tilak Bridge, Modi Mill Flyover, Dhaula Kuan were completely under water. Waterlogging was also reported from areas near Welcome Metro station. Commuters had to wade through water-logged streets in Delhi as heavy rain hit the national capital on Friday afternoon. Following the deluge, traffic came to standstill in several areas with many important stretches completely in inundated.